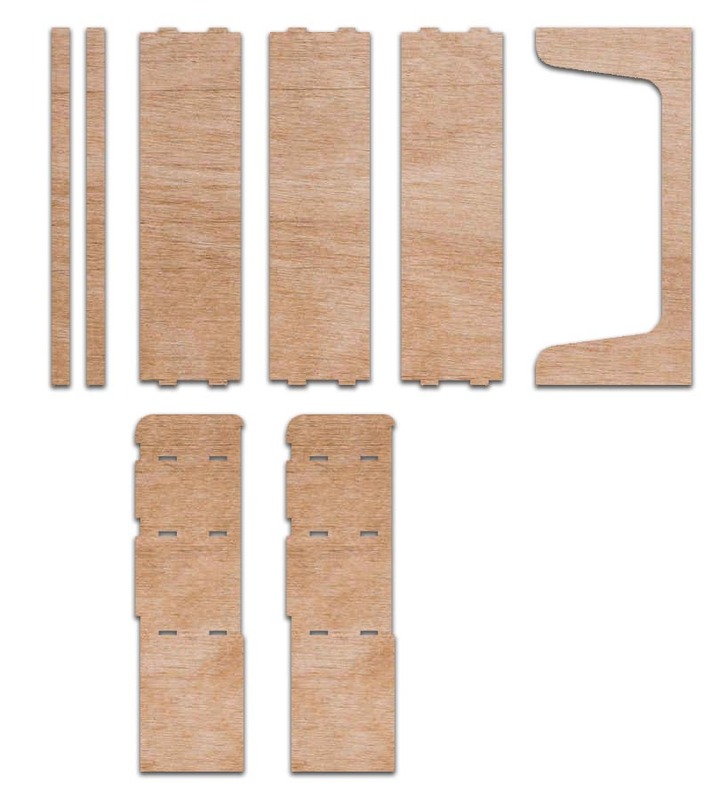 It is designed to be created from 12mm plywood and a 6mm ply back. It has three shelves with upstands. Please note: It has been designed as an idea project and has never been used in anger so to speak to create a rack it is a FREE download and no responsibility is accepted for use of this file.